We spent a few days (Thursday to Monday) in York over the weekend for the engagement party of our eldest granddaughter. I love this city for many reasons, but most of all because of the fantastic history wrapped up in the place. 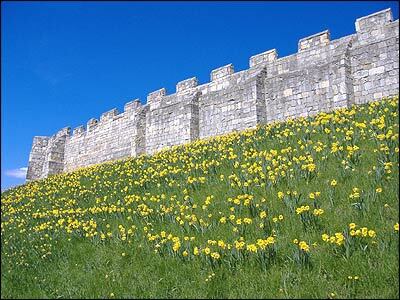 If you plan a visit to York, I always recommend spring as the hills on which the city wall sits are covered in daffodils, which is very pretty if the sun shines.We travelled up there using Cross Country trains as this is easier for us than going across London – Fareham to Winchester, then Winchester to York. The journey up was generally OK; although, the carriage was a little cold (more about that later), but everything ran on time and we were early enough to have a quick beer in the buffet at York station – The Coopers – which sells very good real ales and is reasonably comfortable for a station buffet! Then we took the No. 4 bus to The Marriott Hotel (can you tell we are retired and get free travel? ), which got us there in about 10 minutes and leaves from opposite the Station exit – very convenient. The first evening we ate at The Marriott Hotel and we were a little disappointed by the meal and especially the cost, but it was convenient. 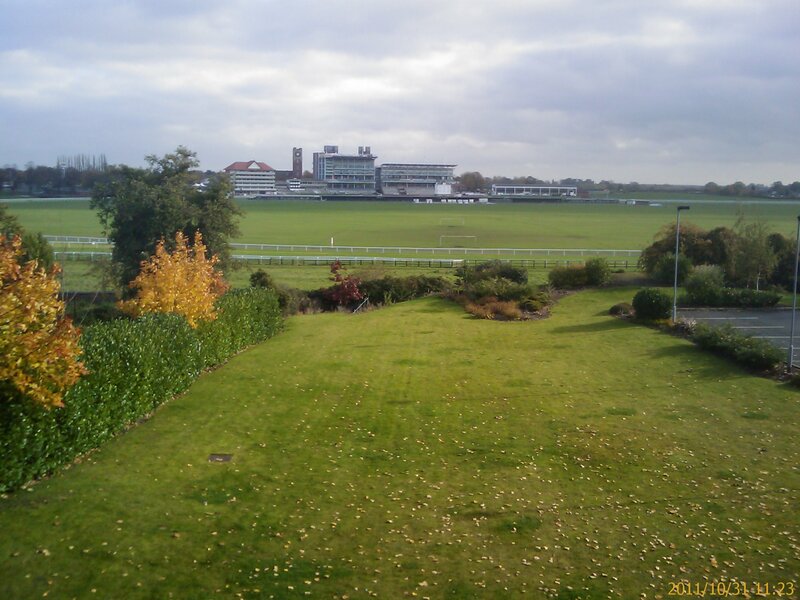 Despite this the Marriott is a very nice hotel and we got an upgrade to a “Grandstand View” room (left with the gardens in the foreground and the racecourse in the distance), which was really comfortable with a huge bed (the less said the better). The Hotel also has a swimming pool, a beauty center and a gym, but we did not partake in these! Day two (Friday) was mostly spent shopping, but we didn’t get too far – Marks and Spencer and Fenwick’s, so not too much to report there. 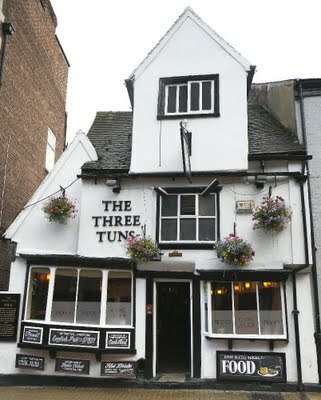 However, we did “find ourselves” outside my favourite pub (strange that) – The Three Tuns – this is a really old pub (229 years of serving customers), but is also well on the tourist map and was busy. The beer is excellent (and included some homemade mulled cider, for those who like cider – not me) and the food is good. We only stayed for one pint, but I always like the atmosphere in there, however, the seats are not the most comfortable. That evening we went to a lovely little restaurant in Goodramgate – The Lime House – where we had some really tasty food, which was both well presented and tasted wonderful (I had venison cutlets). perhaps the only problem with this restaurant is it is small and we got stuck near the entrance, which was a little drafty as some people don’t seem to know how to shut a door! but the place is worth a visit and I thoroughly recommend it. 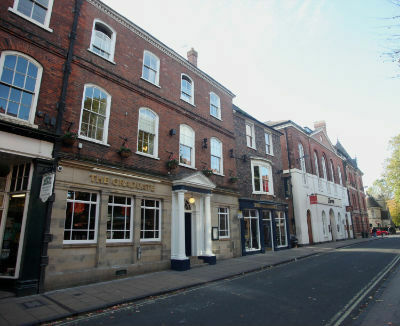 We finished the evening with a few beers in The Cross Keys, at the top of Goodramgate, which is part of a chain of pubs and was very comfortable, it looked fairly newly fitted out, and served a nice pint of Hobgoblin. Day 3 was the day of the engagement party (at a little “town pub” near Acomb – The Green Tree – which is OK, but nothing too special), so we spent the day shopping again. The highlights were a little market display in a marquee at the top of Parliament Street, which was selling goods that were “handmade in yorkshire” and we bought a couple fo things. I also enjoyed a chat with a young lady who was making and selling pewter goods (we discussed acid-based etching! ), but I didn’t buy anything (tut tut). Then Brown’s departmental store and finally a beer in The Graduate, because we could get free WiFi in there (sad). Sunday is always a funny sort of day, but we discovered most, if not all, of the shops were open in York, which meant another round of browsing the shops. I guess what I noticed most is that there are a lot of shops in a short distance and the walk up Stonegate, with a slight detour to take in the breathtaking view of York Minster, along Low Petersgate with its multitude of little shops, then down The Shambles just for the beauty of the street (still too many tourists, including us!) 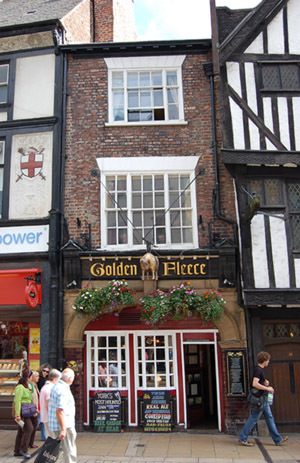 and then a couple of beers in York’s most haunted pub – The Golden Fleece – which is also a really nice little pub with some good beers. If you recreate that little walk for yourselves, I recommend following it up with a walk around the walls of York, some breathtaking views are possible, there is also a lovely park near the Lendal Bridge (on the left when going up toward The Minster) and a number of places to visit as you travel around the city walls. Our final day was spent packing and then travelling back on the train. Unfortunately, the air conditioning in our carriage was ridiculously cold and we shivered most of the way home! 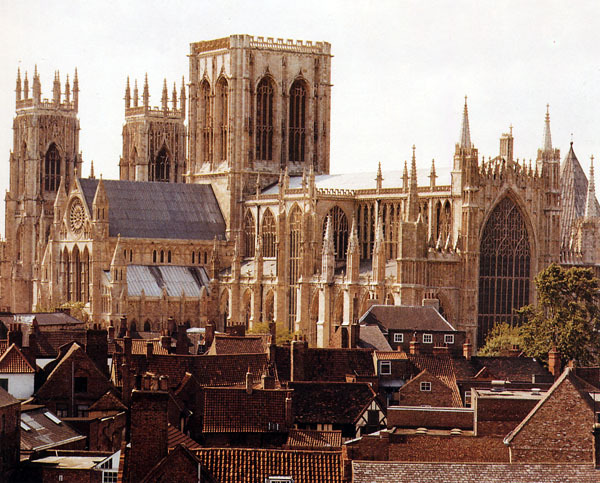 S o, my final comment – visit York, take a few days to do it and try to make it in Spring to see the slopes at the walls covered with daffodils. It really is a beautiful city and has lots of history, lots of good restaurants and far too many good pubs!